She Writes Press, 9781631522260, 280pp. For three decades, Laurie Kahn has treated clients who were abused as children--people who were injured by someone whom they believed to be trustworthy, someone who professed to love them. Their abusers--a father, stepfather, priest, coach, babysitter, aunt, neighbor--often were people who inhabited their daily lives. Love is why they come to therapy. Love is what they want, and love is what they say is not going well for them. Kahn, too, had to learn to navigate a wilderness in order to find the "good" kind of love after a rocky childhood. 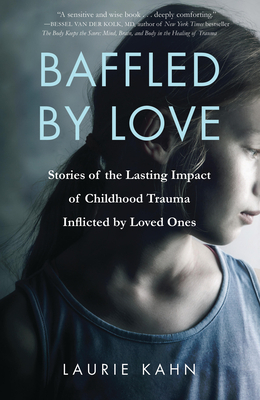 In Baffled by Love, she includes strands from her own story, along with those of her clients, creating a narrative full of resonance, meaning, and shared humanity.